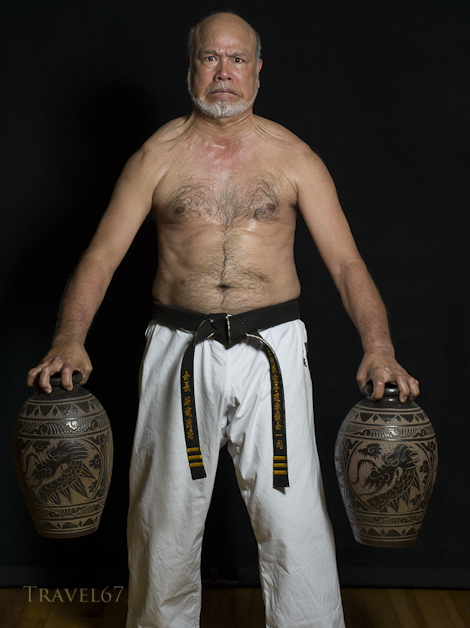 9th Dan Uechi Ryu master Kiyohide Shinjo training with Sanchin jars. 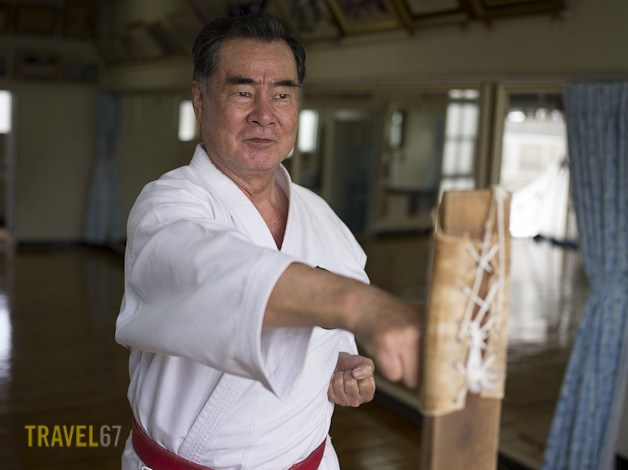 Okinawan karate has several training techniques that are designed to strengthen and condition the body using simple everyday objects. Sanchin are heavy jars that are gripped with the fingertips. Makiwara is a striking post the top of which is often wrapped in leather or straw. It is similar to a boxers punching bag, but with a smaller target. 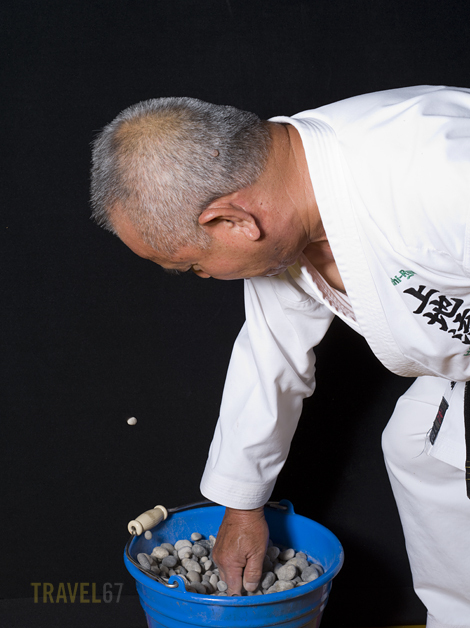 In the photo below Gaja-sensei demonstrated how a simple bucket of stones was used for fingertip conditioning. He thrust his hand in so hard and fast, the force sent some stones flying out of the bucket. Here’s a short clip showing a few different techniques by various masters including Kiyohide Shinjo. Sanchin is a kata performed by practioners of several Okinawan karate-do styles, including (but not limited to) Uechi-ryu Karate-do and Goju-ryu. Roughly translated Sanchin means “3 conflicts”. The jars are called Nigiri Game. You might want to correct your text.